GABBIE ROTTS talks about making punk music her mother will like and how to best torment your friends. 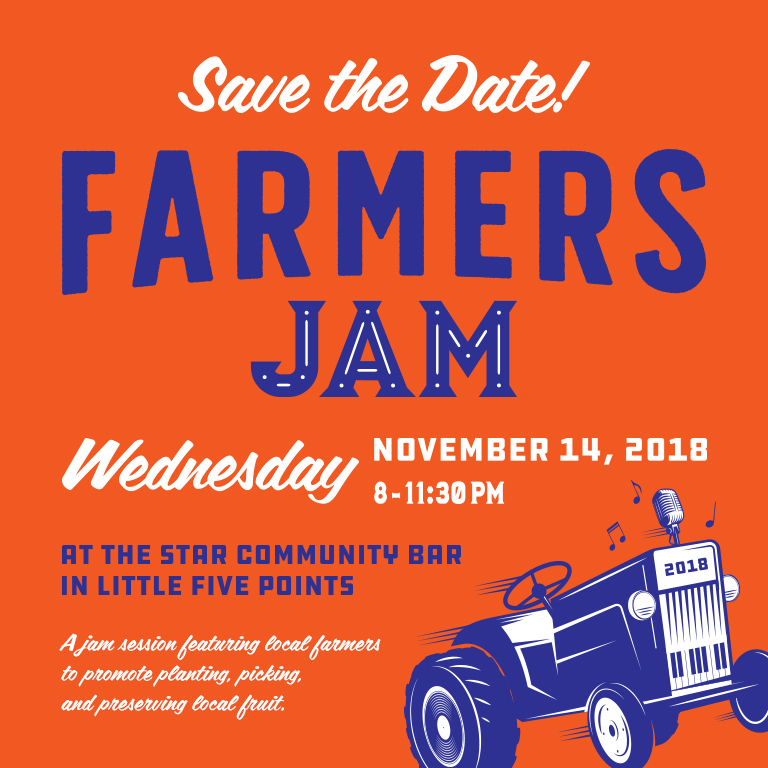 James Carr is organizing FARMERS JAM on Wed., NOV. 14, to gather some musical farmers from the region and highlight jam made from local produce. Proceeds benefit future good food in your belly. Show’s at The Star Bar! Jason Waller talks about his new video series D.A.D. 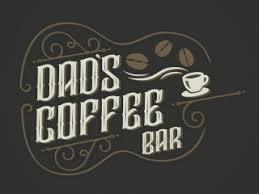 PRESENTS and his hopes to help break the stigma of depression at Dad's Coffee Bar. SONIA TETLOW shares her path to music, and steps away from Roxie Watson to release her own cd. Come see our next LIVE show on Saturday, Aug. 26, at a new venue - The Switchyards Downtown - with Andi Kezh, Dad's Garage, Alex Gordon, Pony League, Mark Kendall, Paint Love, Shannon Turner, Tray Dahl & the Jugtime Ragband, & more. Get your tix HERE! Songwriter-drummer-musician-booker Mike Rizzi explains what makes THE VISTA ROOM such a unique music venue for Atlanta. Check out Mike on drums on beautiful video below! Tray Dahl of the JUGTIME RAGBAND loves the sounds of the 1930s & 1940s and brings their party to ears today. Hear a new tune from HANNAH ZALE and about her other project with Carly Gibson called The Pussywillows. TOD ELMORE of Hubbub Music gives a peek into the world of artist development, record companies, and music events. The Georgia Flood, Radio Birds, & Michael Logen are just some of the acts he manages. Nick Niespodziani talks about his passion project INDIANAPOLIS JONES and balancing live between Yacht Rock Revue, Venkman's, CHARM, and a beautiful family. See IJ at The Earl on 10/20 with Diane Coffee. Shannon M. Turner shares her passion for storytelling and the program she and David Russell have cooked up for this year's STORIES ON THE EDGE OF NIGHT event on Saturday, Oct. 29, at the Biergarten at The Wrecking Bar. Michelle Imoukhuede explains how GEORGIA LAWYERS FOR THE ARTS have helped musicians, artists - and now inventors - through their pro bono support. CHELSEA SHAG's style of pop-rock-r&b keeps the electric guitar front and center. Randy Osborne tells the story of CARAPACE. Andre Paraguassu shares his history with "La Bamba" and how awesome creating the BOOK OF COLORS album was. Caroline Cox & Muriel Vega of COMMON CREATIV share their love of sharing creative stories. Dad's Garage hosts BACONFEST on Saturday, March 26th and talks new digs in O4W. ADELAIDE TAI talks painting, music, art, & upcoming Rhythm & Brews in Sandy Springs. Emily Oppelt unveils the mysteries of their SQUADCAR MOONSHINE and their challenges in Georgia. THE TIN MAN (aka Marshall Seese) explains latest EP and new video project connecting folks with music. FAHAMU PECOU discusses how art, hip-hop, and spirituality have all converged for him. LAURA COYLE & LOUIS HERIVEAUX talk about their evolving jazz sound. Wes Jones of HONEYSUCKLE GELATO schools me on how to make gelato. THE FUTURE BABES know they want their next cd to be louder!